Do you talk with Jews who are still hostile to firearms ownership? Do you debate with Christians who still think Jesus opposed using force in self-defense? 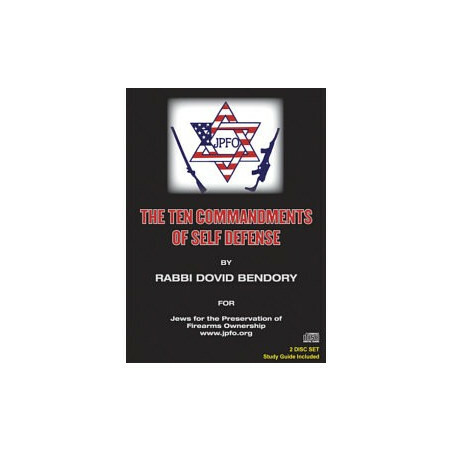 If so, then you need to see and hear this powerful presentation by Rabbi Dovid Bendory: ''The Ten Commandments of Self-Defense''. If you have ever engaged in the battle of ideas - if you have ever confronted the clash of worldviews - then you will be thrilled with what you learn. This 2 CD set includes a printed study guide. 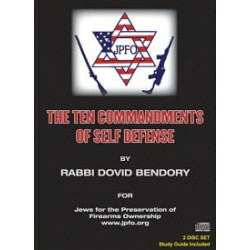 Further details on this item on the JPFO site, and you can find a Talkin' to America interview with Rabbi Dovid Bendory.